Two parts mirth, one part mystery, and a dash of magic! 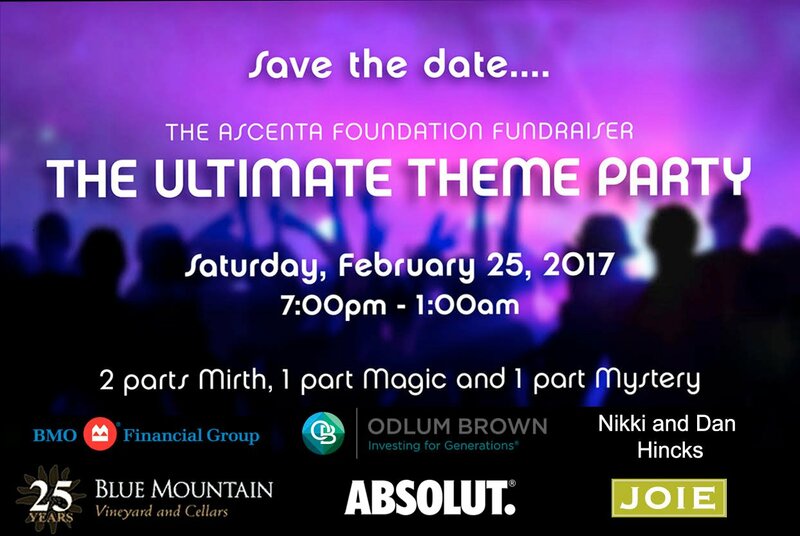 Join us on February 25, 2017 from 7pm to 1am for the Fourth Annual Ascenta Fundraiser. The Theme is so spectacular that we will release details as we approach the date! Ticket includes one drink, food, live entertainment, casino, silent auction and—of course—dancing! Click here to buy tickets. Click here for our Facebook Event page.